Families planning a trip to the White Mountains this summer are Googling “When does Storyland open 2018?” Well, start getting excited — Story Land launches the 2018 season on weekends starting May 26th! Even if you aren’t there waiting at the front gate when they open at 9:30 am that morning, you probably want to start planning your family’s trip now. That includes deciding where to stay. Choosing the best accommodations near Storyland NH is a big part of making your trip extra super awesome. Isn’t it great when kids get a big grin on their faces as they reminisce about fun memories? You only have so many opportunities to make their childhood awesome before they grow up! For a lot of people, Story Land’s been a family tradition for generations. They bring their kids and grandkids to visit this children’s theme park in Glen NH to give them the same kind of excitement and fun. The park opens daily beginning June 18th, operating from 9:30 am-5 pm. They’ll stay open until 6 pm starting July 1st and lasting through August 25th. On September 1st, Storyland NH will revert back to weekends only with October 8 marking the last day of the 2018 season. June 23-24 is a special sensory sensitive weekend. Note that Story Land may change the park hours and attraction availability without notice, so you probably want to check with them. Christmas Farm Inn & Spa is perfect Story Land Families! You’ll want to stay in Jackson NH instead of North Conway because, face it: at the end of the day, you’re all going to be exhausted (if you’ve done it right). Staying in Jackson means you can simply turn right out of the parking lot, drive 3 minutes, and bam!… you’re here in beautiful Jackson Village. Doesn’t that sound better than fighting that traffic headed in the opposite direction? Even better: Book your table at the restaurant for that night after breakfast and before heading out in the morning… when you get back to the hotel, you can actually find a dinner table waiting for you! Mom & Dad can actually relax while the kids watch a movie in the adjacent sitting room. That’s a win/win! 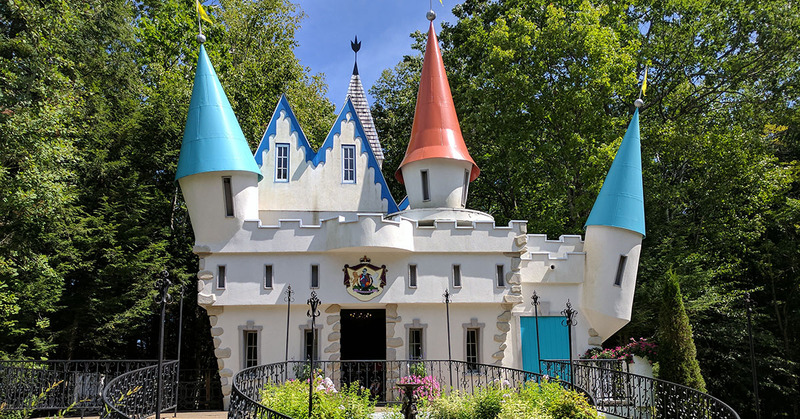 It’s a given that the kids will have a blast on Story Land rides like Roar-o-Saurus, Cinderella’s Pumpkin Coach, Dr. Geyser’s Remarkable Raft Ride, the Polar Coaster, and the Crazy Barn, but why stop there? Will the kids enjoy staying at Christmas Farm Inn & Spa? You better believe it! It’s a mere 5-minute walk to Jackson Falls, they can jump in the indoor pool or climb on the playground, then end the day with nightly s’mores and star-gazing around the fire pit. Meanwhile, Mom & Dad can rest their feet or sip a cold beverage from the Mistletoe Pub. Here’s a special tip just for you: Go to Story Land during the final 3 hours of the day, use the tickets you’ve already purchased in advance online, and receive a free ticket to come back the next day! You can squeeze in some much-needed ‘Me time’ with a Spa treatment while the kids play. Maybe they won’t be too sad when you tell them it’s time to go home. Just remind them how much fun they’ve had and promise to come back to Story Land and stay at the Christmas Farm Inn & Spa next May! Don’t wait if you want to stay with us a specific week this summer. Book now!